A public art project is aiming to restore vibrancy to empty buildings in downtown Niagara Falls. 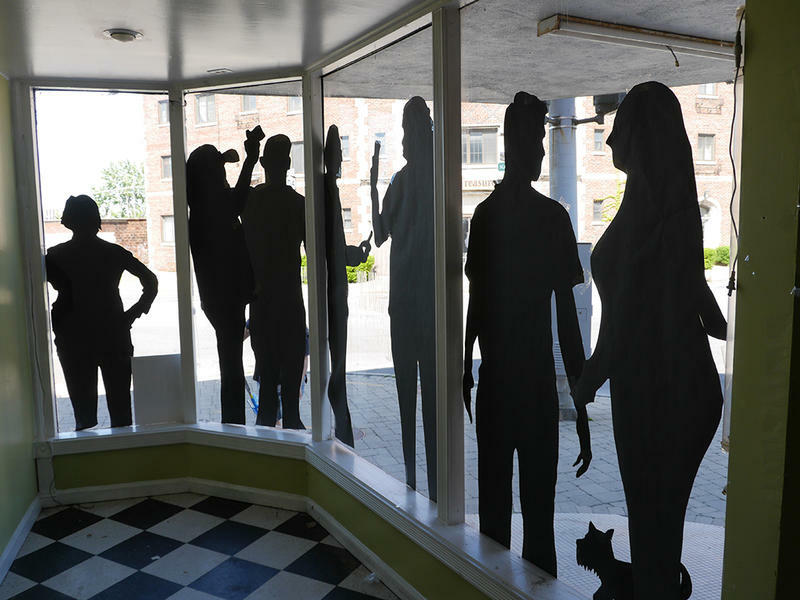 More than 100 silhouettes of Niagara University students and others cut out of black paper are lining the windows of vacant structures at Third and Main Streets. 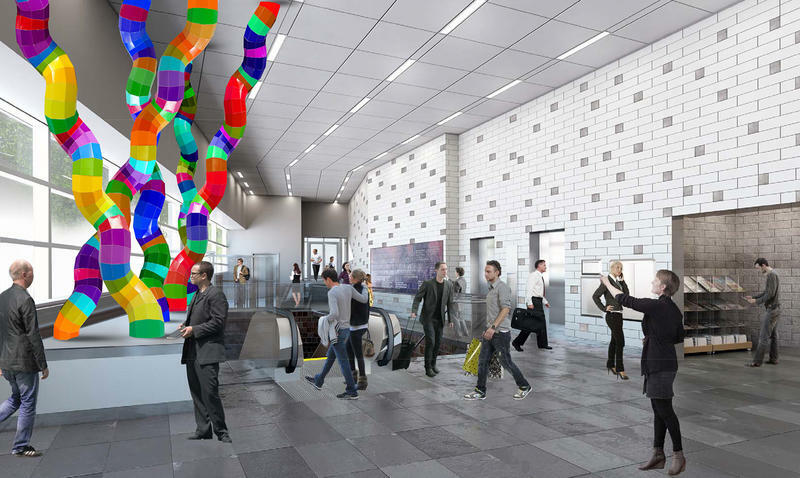 The largest public art project to date, sponsored by Erie County, is going up in downtown Buffalo. 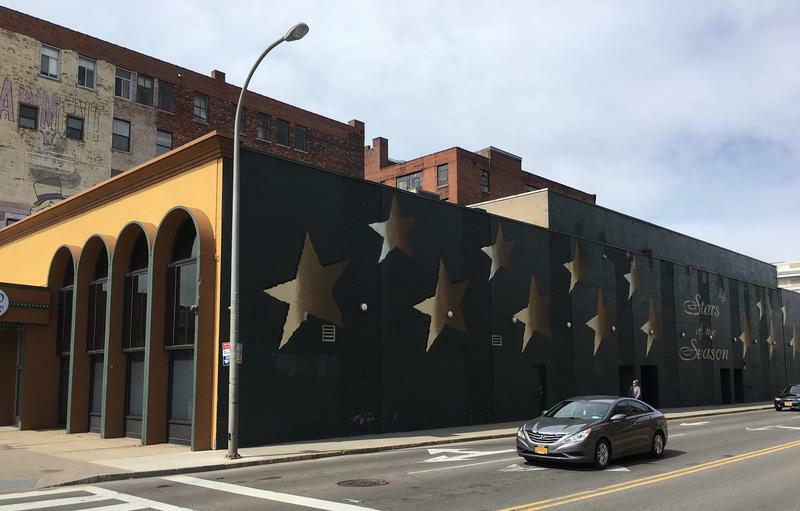 The Albright-Knox Art Gallery and Shea's Performing Arts Center are collaborating on a new mural on the wall of 710 Main Theatre, along West Tupper Street. 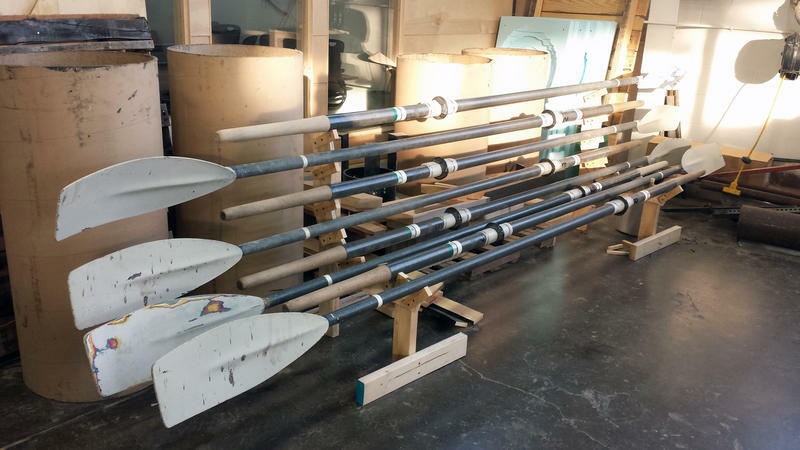 What do you do with driftwood, old oars, railroad spikes and other material cluttering a historic neighborhood? How about turning them into public benches? 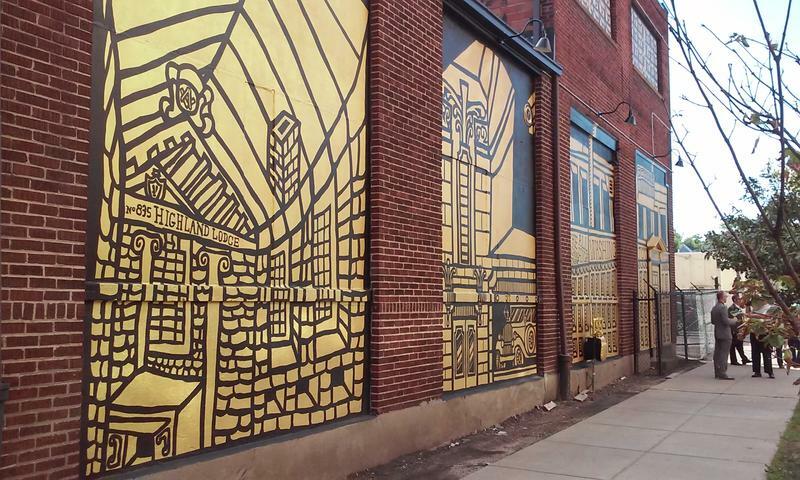 There’s a new piece of public art in town that’s making an environmental and an artistic statement. 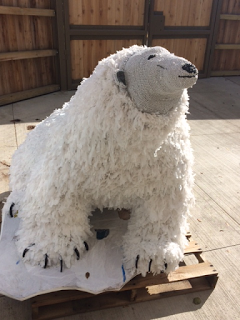 Visitors at the Buffalo Zoo can see a sculpture of a polar bear made entirely out of plastic shopping bags. When you look at what you think is a corner Buffalo News vending machine, look twice over the next few weeks. 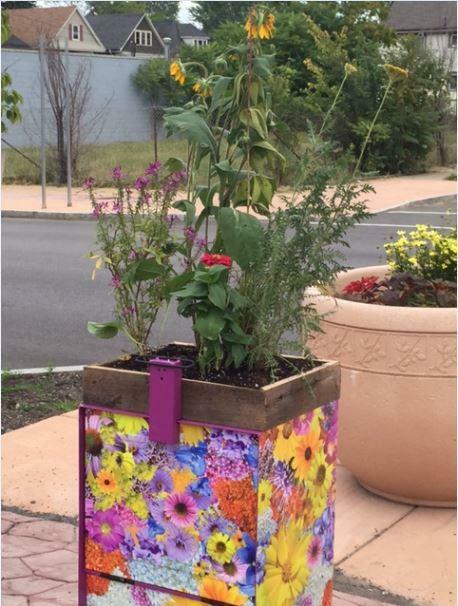 Some of those boxes have been converted to community seed stations for the latest public art project from the Albright-Knox Art Gallery. 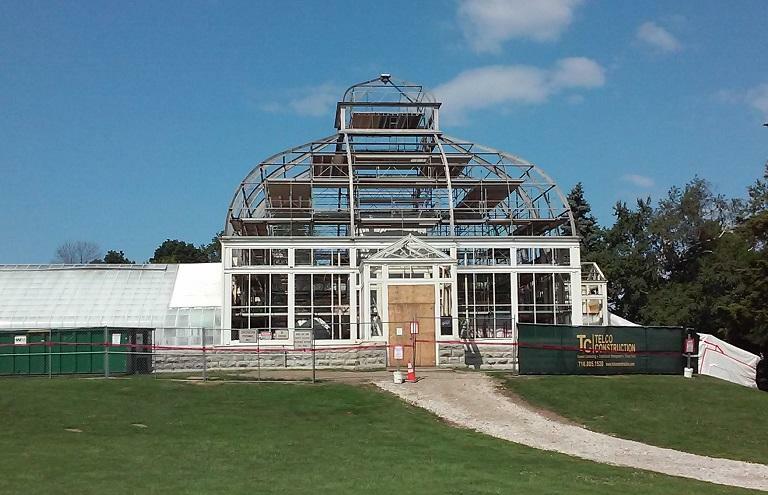 Two of the greenhouses that make up part of the Buffalo & Erie County Botanical Gardens are undergoing an extensive restoration project, the first major work on the structures since they first opened more than a century ago. 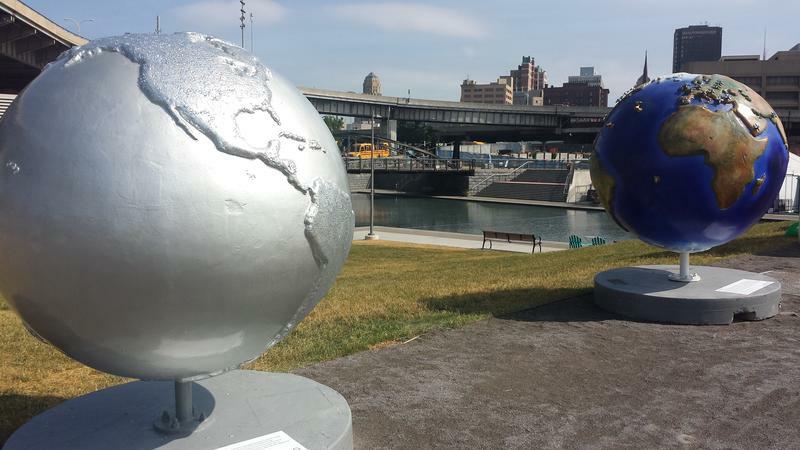 Public art is once again a hot topic in Buffalo. Such art has always been around. The replica of the Statue of David has been gracing Delaware Park near the Buffalo History Museum for decades. 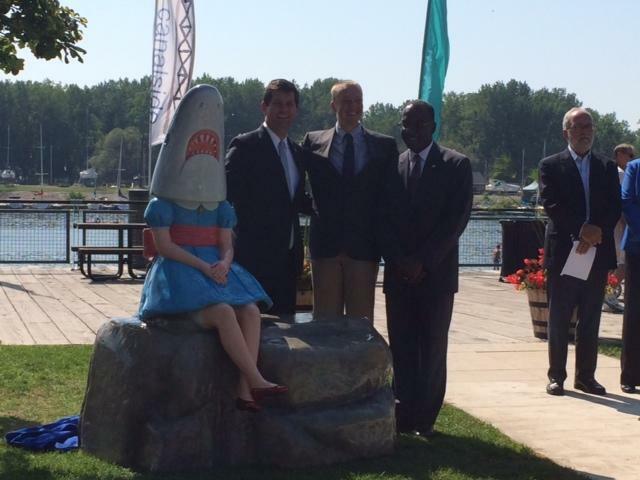 But last year's arrival of "Shark Girl" at Canalside has attracted plenty of attention. When Shark Girl moved into Buffalo in August, she started a conversation via social media as to where she came from and what her creator Casey Riordan Millard was thinking in creating her. 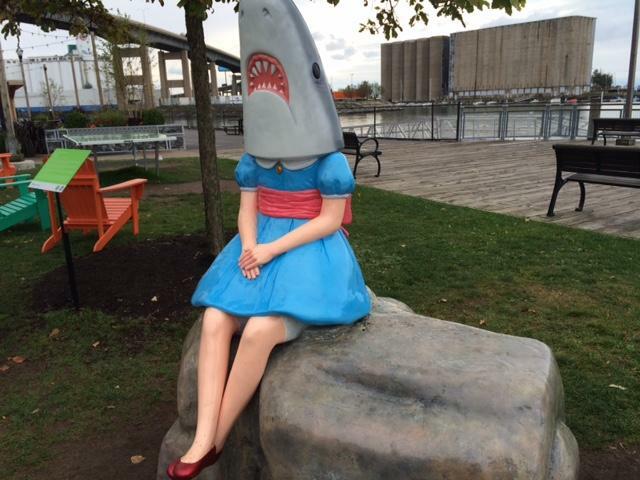 WBFO’s Ashley Hirtzel talked with Canalside visitors and sat down with the artist and to find out how Shark Girl came to be. 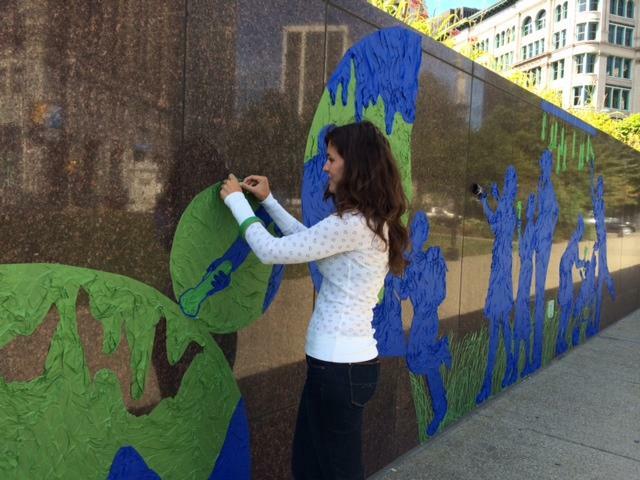 A new public art piece is being constructed outside the Buffalo and Erie County Public Library. The mural is one of several that will be put up as part of an Albright-Knox Art Gallery initiative across Erie County. 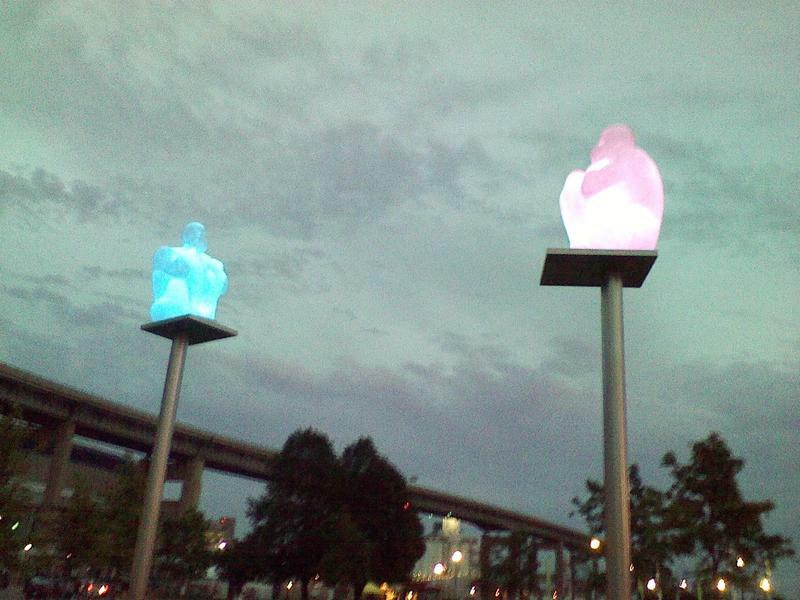 A public art project is expected to be installed at Canalside over the next few weeks. 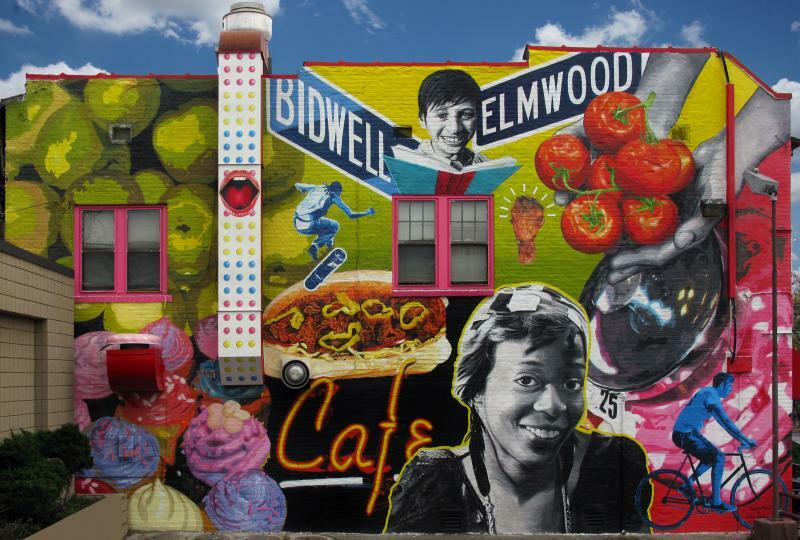 The public art organization responsible for murals on Tonawanda Street and Elmwood Avenue is now looking to bring their project to Hertel Avenue. 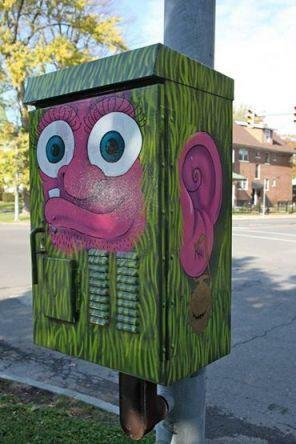 Community Canvases is looking for artists to paint signal box murals along the city roadway this summer. There may soon be more public art works around Buffalo as City Hall continues its work to repair existing installations. 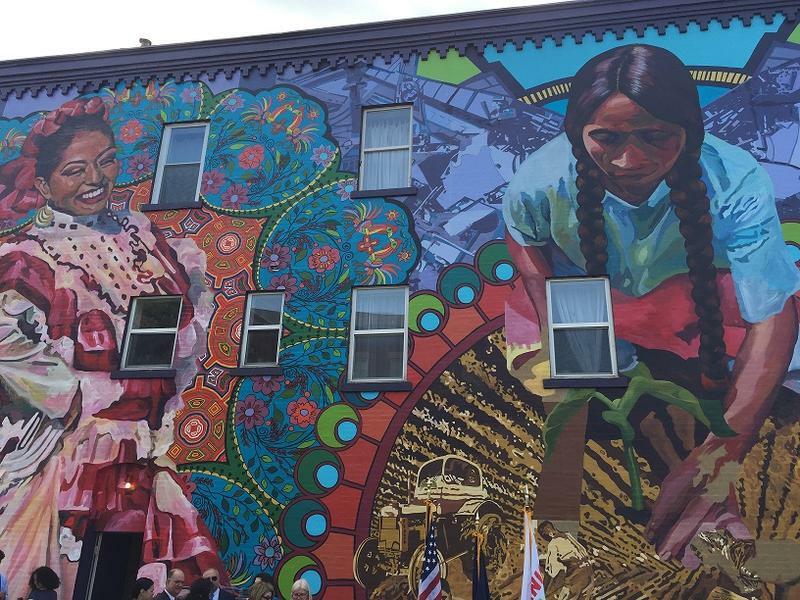 Travel down some of Buffalo's streets these day and you're likely to find brightly colored murals on building facades. 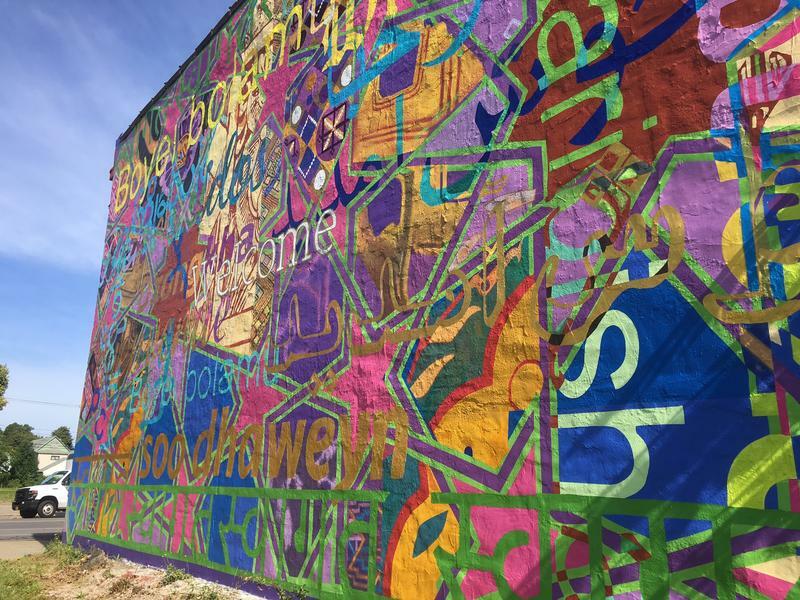 It's all part of what Buffalo Spree editor Elizabeth Licata says is "the year of the mural." 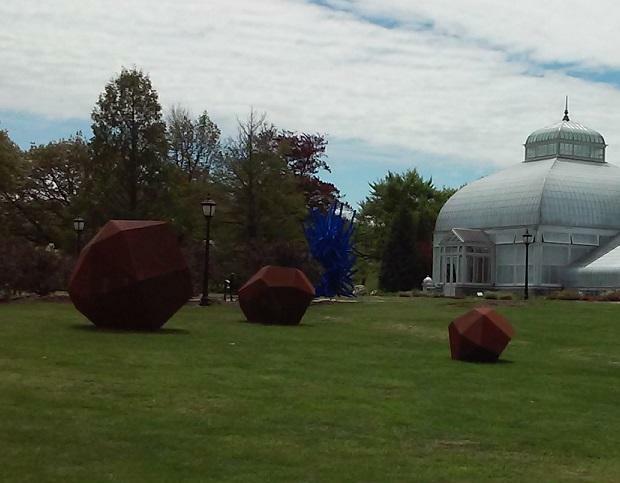 She joins WBFO's Mark Scott on this week's Press Pass to talk about public art.